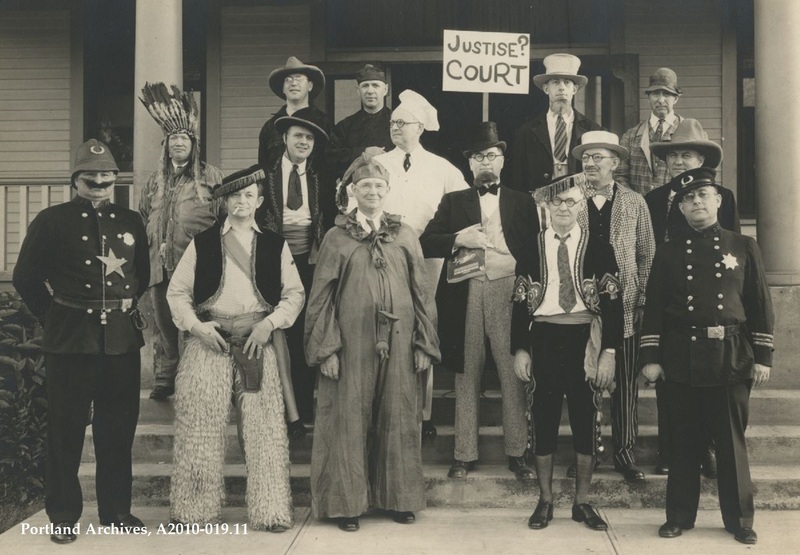 Men dressed in costume for George L. Baker’s Birthday Party at Red Steer Café, 1934. First row: Mike DeCicco, Mr. Nudleman, Commissioner Riley, Assistant Fire Chief James Dillane, Harry Freeman. Second row: Mr. Willoughby, Ernie Bills, Jack Luihn, Al Sherrill, Dr. Cecil Brouse, Sam Slocum. Third Row: Charles Parker, Fire Captain Fred Roberts and two unidentified men. 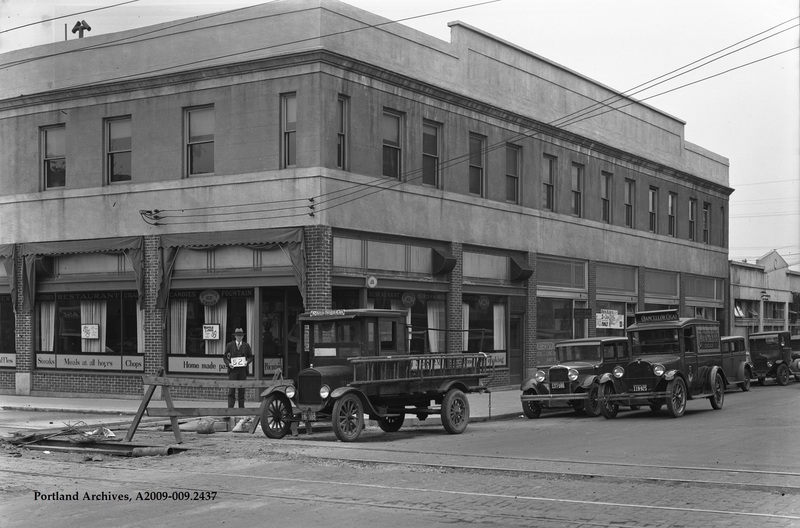 A number man on the corner of SE Morrison Street and SE Union Avenue (Martin Luther King Jr Boulevard), 1929. For more information on the number man, click here. 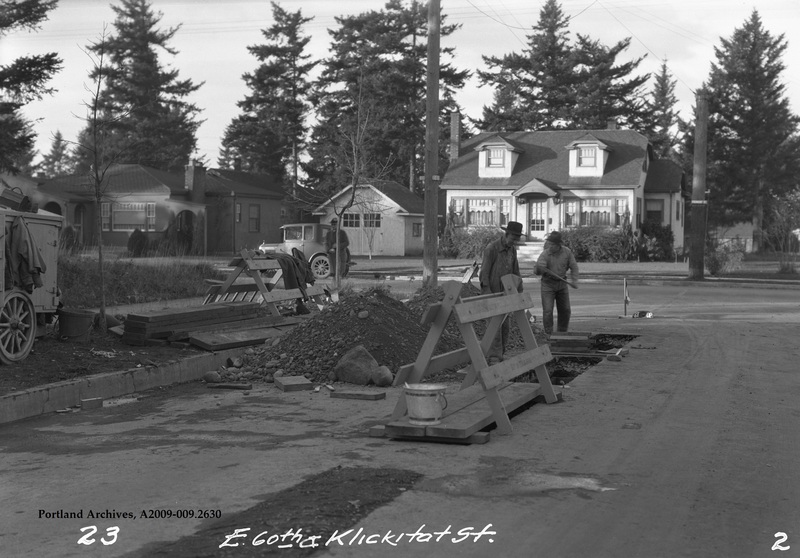 Sewer repair on NE 60th Avenue between NE Klickitat Street and NE Fremont Street, circa 1932. A panoramic view of Portland from the Oregonian Building tower looking east, 1892. This image comes from the Oregonian Souvenir book. 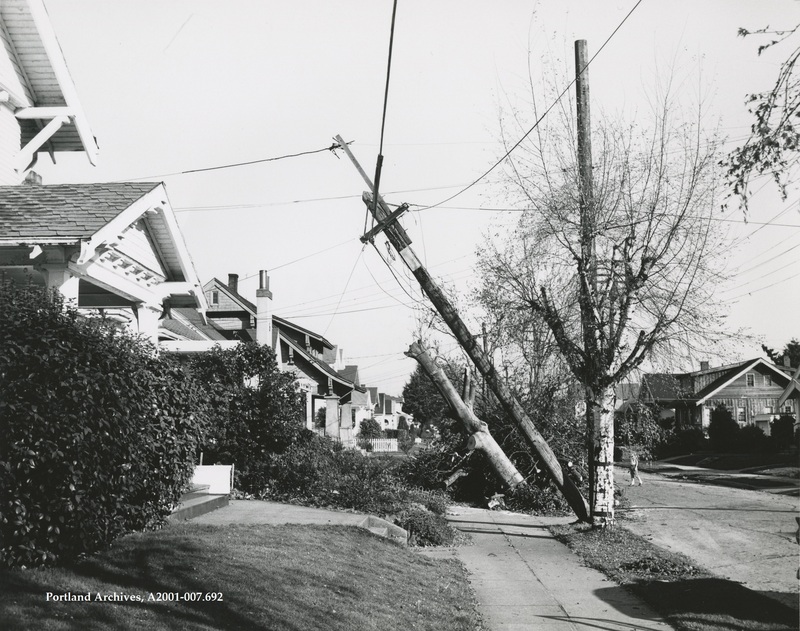 Another images from the clean-up after the Columbus Day Storm, 1962. Does anyone recognize this location? 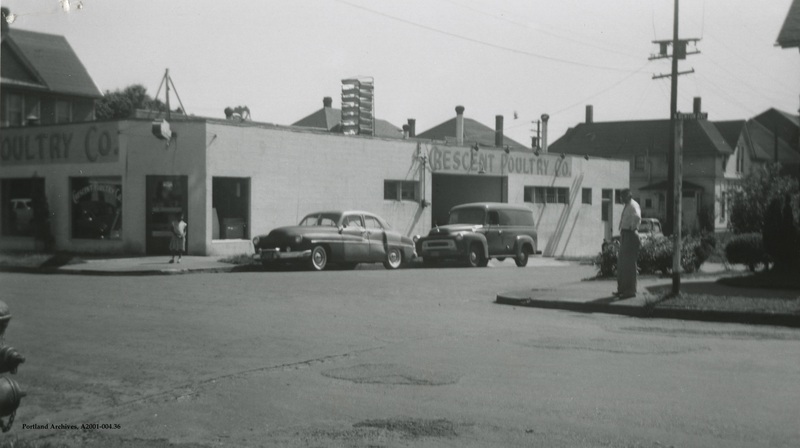 A child standing in front of Crescent Poultry Co. located at 1333 N Benton Avenue, 1957. This was located in the Memorial Coliseum area. 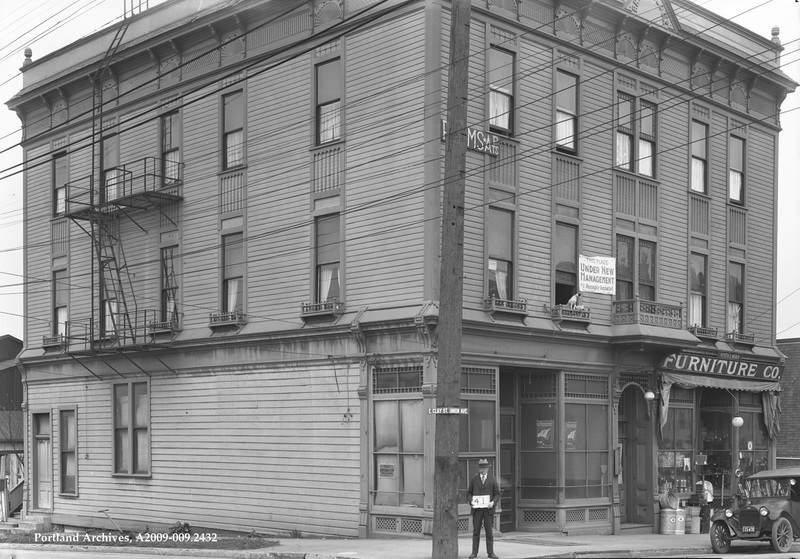 A number man standing outside an apartment building on SE Clay Street and SE Union Avenue (SE Martin Luther King Jr. Boulevard), 1929.